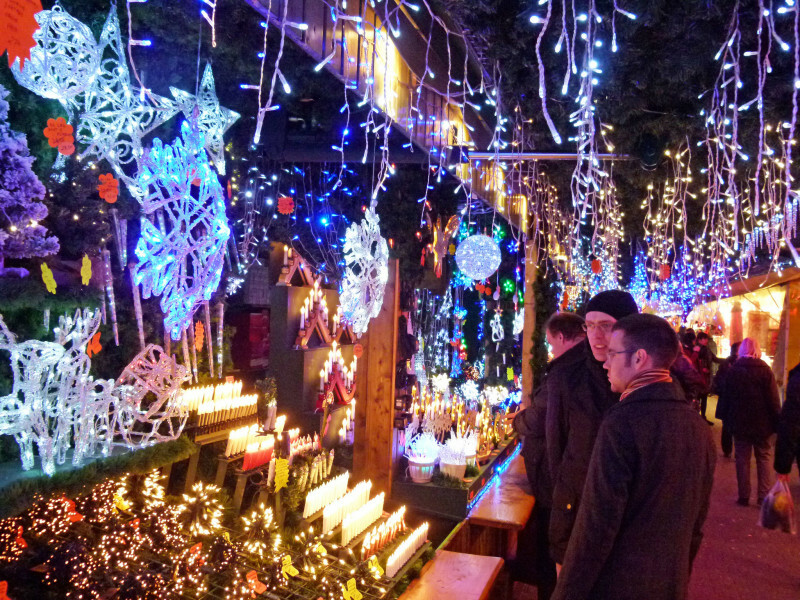 CC BY 2.0 © Dierk Schaefer Strasbourg is home to one of the oldest Christmas markets. 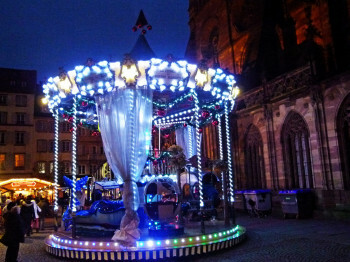 Strasbourg's Christkindelsmärik is one of the oldest Christmas markets in Europe and known mostly for its variety of Christmas tree decorations and crafts. The scent of roasted almonds and mulled wine fills the air, and adorned houses enchant the whole city. Culinary treats as well as a range of crafts can be bought at the numerous booths. At the centre of the Christmas market, at Place Kléber, you find the giant Christmas tree. It has to be almost 100 feet tall, and is filled with decorations and lights. The Christmas market in Strasbourg was first mentioned in the Middle Ages, making it one of the oldest in Europe. As protestantism rose against catholic traditions in 1570, it replaced the former St. Nikolaus Market. 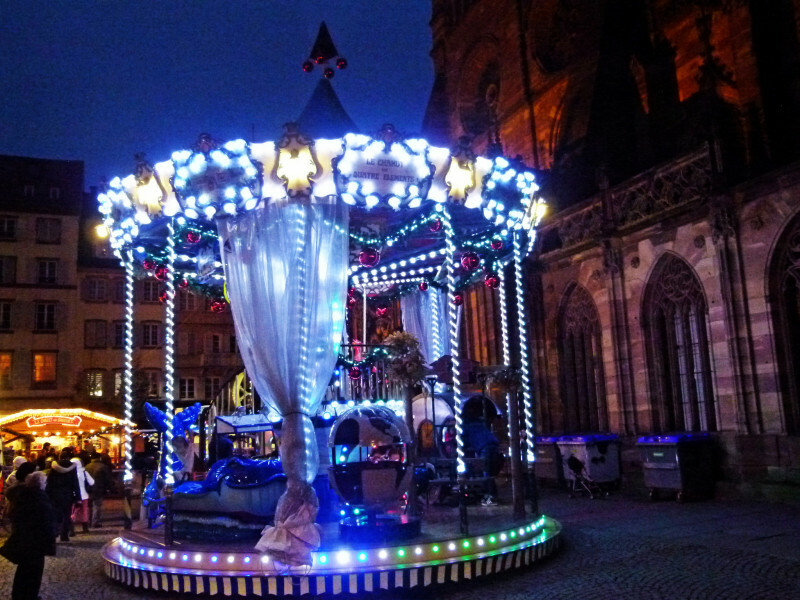 In 1992, Strasbourg started calling itself Christmas capital, and has ever since been trying to incorporate more authenticity, tradition, local food, and a higher quality. Strasbourg is easily accessible by train. From the central station, you can get a tram to the city centre to where the Christmas market begins. As parking space is scarce, we don't recommend driving into the centre. However, there are car parks outside the city where you can leave your car and take a tram to the market.